Ever felt the anger to throw your CPU out of the window because it is too slow to operate? Well, it happens to everyone. Computers and Laptops nowadays often hang too much or perform slow even with the latest configurations and why is that? Because of all the Malware and Crashing of the Windows. For every problem, there is always a solution and this case Kerish Doctor Software is the hero who is going to save the day. Having trouble managing your Computer’s Health which makes you suffer during work, then Kerish Doctor should be your first concern towards all these problems. Frankly Speaking, it is the Hulk of Maintenance Software with so many of features you can’t even remember. 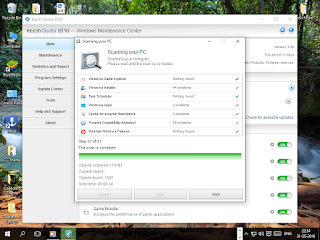 From Repairing, Cleaning, Optimization and Protection to Monitor your Computer’s Health. 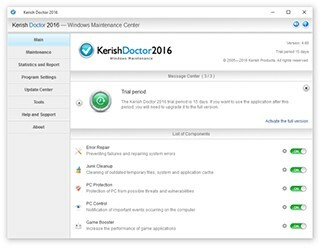 Kerish Doctor is the ultimate software that emphasizes on providing versatile solutions for boosting your system’s performance and maintaining security. It is a comprehensible and versatile program that is created to help you enhance and sustain the health of your computer. I’ve been using and testing this software for past one month or two, and this is my honest opinion and review of this amazing software and why should install in your system. Kerish lines up a wide range of Troubleshooting, Cleaning & Optimization Features which all together provide an integrated solution for all the problems related to your PCs. It provides full control and access to manage and clean all the temporary and unnecessary junk files which slow down your systems. Kerish offers a pool of true and essential features compiled to provide stability, boosted performance and speed. Kerish offers a vast set of Maintenance features like Windows Security, Full Scan and various services like the real-time problem solver, file recovery, Internet Booster and much more. What more can you ask for? There are several other tools that this software offers that I’ll be discussing later. Prevents Windows from Crashing & Monitors Errors. Protect Your PC from Bugs & Malwars. Monitors Computer Temperature & Registry Errors. Accelerate Games & Software Performance and much more. Why Should You Go for Kerish Doctor? The Software comes with a fantastic and quick layout that allows you to choose easily between a wide range of features and increase your computer’s performance. 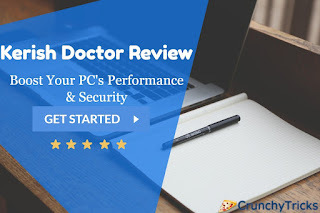 Within few minutes, Kerish Doctor scans your entire system and finds all the issues and registry entries. It also finds broken links, harmful malware and crashed applications and removes all the junk files and repairing errors. Whether your computer crashes or running slow to perform basic tasks, Kerish allows you to tweak and delete all the unnecessary files and optimizes your CPU’s performance. Kerish comes with an additional feature that allows you to optimize your internet connection by deleting and removing the unnecessary bloatware and malware. Initially, you can download Kerish Doctor for free from the official site, and you can use it for 15 days as a trial. The Company recommends to use the software on the test, and if you love the software, then you should upgrade to the premium membership and licensing of the software. And if you love the software you can upgrade your membership for two years at the price of $29.95 & $39.95 for the three-year license with all the essential features. I recommended this software to one of my friend who was having trouble as his system was running slow and was crashing whenever he launched a software. I also installed it on my Laptop as Kerish certainly enhances the security and the performance by using an amazing set of technologies such as Kerish Cloud & Real Time Error Detector. Kerish runs in the background and performs all the tasks without user intervention. The Company rolled two updates within two months, and the software is playing faster with every Update. The Error detection platform and the Algorithm work fantastic and run smooth on Windows. Kerish provides users with an interface that is fast and well as robust. All in All, the software perfectly works for me. Considering that I am a Heavy User with so many programs running on my laptop, Kerish acts as a companion for my system and boosts its performance with full security and support. The most amazing features of Kerish are the Deep Scan & the Real-time Error Detector which surprised me the most. Recently, I installed software which installed a bloatware in the background which was regularly crashing my laptop after booting. When I performed a Full-Time Scan with Kerish, it instantly found the bloatware, removed it and also scheduled a routine scan for further security issues. Within Seconds, the software ran a full-time scan and reported all the issues and bugs inside the laptop. It further fixed all the boot issues and regularly alerts about any new vulnerabilities and minor fixes. It certainly boosted my system’s performance with up to 50% faster rendering and garners security and robustness too. It is the best one in its category with a broad range of features coupled with fantastic performance. Kerish offers its users to maintain and makes the PC more reliable. It gives you the much-needed support and sometimes acts as a backbone for your system. Hence, Kerish Software is recommended for everyone who wants a perfect maintenance platform for their systems. 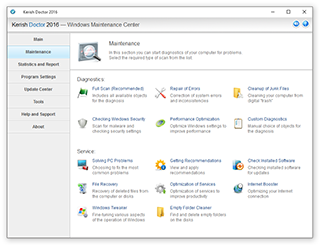 At last, Kerish Doctor Software is a great deal if you are searching for a maintenance and cleaning software for your PC.